LE MALATTIE CRONICHE ED IL CAMPO GEOMAGNETICO. J Altern Complement Med. 2011 Apr; 17(4): 283–285. Chronic Disease: Are We Missing Something? A report in this issue of the Journal by two physicians, Pawel and Karol Sokal (301–308), relates to all of the chronic issues mentioned above. These authors point out that our preoccupation with treating symptoms may have distracted us from noticing that there is a common denominator to many diseases: Our contemporary civilization may be depriving us of something our bodies require if we are to be healthy. Perhaps this missing “something” is directly associated with all of the costly and uncomfortable chronic diseases mentioned above. The Sokals looked for universal regulating factors in nature that are related to the chronic diseases they see every day in their clinics. They concluded that interaction of the human body with the electrical charge of the earth is such a factor, and they present evidence that a connection to the earth (sometimes referred to as Earthing or grounding) is essential for normal physiology. Our shoes, with their insulating soles made of plastic or rubber, and our contemporary homes and buildings have disconnected us from a vital “nutrient” in the form of electrons from the earth. The Sokals measured parameters that are used routinely to diagnose many of the diseases listed above. Specifically, diabetes, osteoporosis, hyperthyroidism, and related metabolic, endocrine, and regulatory disorders produce characteristic changes in blood chemistry. The Sokals studied the effects of connecting the human body to the earth on various aspects of blood chemistry and urinary excretion, using well-controlled double-blind study designs. Earthing or grounding during sleep resulted in statistically significant changes in the concentrations of minerals and electrolytes in the blood serum: iron, ionized calcium, inorganic phosphorus, sodium, potassium, and magnesium. There was also a statistically significant reduction in renal excretion of both calcium and phosphorus during a single 7- or 8-hour night of sleeping grounded or Earthed. The observed reductions in blood and urinary calcium and phosphorus directly relate to osteoporosis. Specifically, Earthing for a single night reduced the primary indicators of osteoporosis. Diseases affecting bone and mineral metabolism encompass a wide range of skeletal and soft-tissue disorders. Recent research is documenting regulatory interactions between the skeleton, fat tissue, and energy metabolism. Leptin is a hormone produced by adipose tissue that regulates bone metabolism; bone cells secrete another hormone, osteocalcin, which appears to influence energy metabolism, including both insulin secretion and adipose cell metabolism.3 Diabetes lowers bone density by an unknown mechanism. Hyperthyroidism speeds the cyclic bone remodeling process, resulting in a steady decline in bone density. Digestive disorders interfere with intestinal absorption of calcium and phosphate. Asthma, multiple sclerosis, lupus, and rheumatoid arthritis can be comorbid with osteoporosis because those conditions are often treated with steroids, which interfere with bone deposition. Multiple sclerosis, lupus, and rheumatoid arthritis also slow bone deposition because those afflicted with those disorders are less mobile and get less exercise.4,5 The point is that the chronic issues identified through studies of blood chemistry interact with one another. Of increasing significance is a set of conditions termed metabolic syndrome, the name given to a group of risk factors that can occur together and increase the risk for coronary artery disease, stroke, and type 2 diabetes. The Sokals also found that Earthing the human body during rest and physical activity has a direct, beneficial effect on the regulation of blood glucose. Recall from above that diabetes currently accounts for 10% of all health care expenditures in the United States. The Sokals also discovered that thyroid function is influenced by Earthing, as documented by a significant decrease of free tri-iodothyronine and an increase of free thyroxin and thyroid stimulating hormone. Through a series of feedback regulations, thyroid hormones affect almost every physiologic process in the body, including growth and development, metabolism, body temperature, and heart rate. A new and popular book7 describes the significance of contact with the surface of the earth and documents beneficial effects on many chronic diseases. More examples are described in dozens of reviews of the book.8 Reviewers report dramatic effects on their health after simply taking off their shoes and socks and walking barefoot on the grass. Others have used various conductive systems that bring the benefits of barefoot into their homes or workplaces, and report dramatic health and life-changing experiences. Testimonials have little meaning in the world of science. Of major concern are the placebo effects such as conditioning and expectation. Research has shown that expectancy effects alone can generate health and performance benefits.9 For the scientist it is necessary to look deeper, to see whether the approach affects physiologic processes. Of course, eliciting a change in some measurable parameter is not the whole story. In Studies Show, Fennick10 discusses a perennial problem: We are continuously bombarded with the results of studies designed to show that this or that treatment is good or bad for us. How can the average person or the physician or even the experienced researcher evaluate this continual barrage of “science” that is supposed to improve our health? We should not drink coffee—we should drink coffee; we should not eat chocolate—we should eat chocolate; vitamin E will save your life, but do not take too much of it! These back and forth recommendations can make us cuckoo, nervous, worried, and depressed, conditions that can, of course, be treated with antidepressant drugs, whose benefits are also validated by some studies but not by others. Are life and health really this complicated? The testimonials on Earthing are supported by a series of physiologic studies in the United States and Canada showing measurable changes in a variety of stress-related parameters when people are conductively connected to the earth.6,11–23 What this means is that the electrical rhythms and electrons conducted over the surface of the earth can have beneficial effects on human physiology and health when the body is in contact with the earth. Most of this research has been done by scientists and experts on human performance who have been inspired by seeing the benefits of Earthing. The editors of this Journal are careful to make certain that readers are told of potential conflicts of interest or possible vested interests in relation to the products and processes described in the articles. Until now, all of the research just mentioned, and this author's writings on Earthing, have been sponsored by the company that manufactures products that can be used to connect the body with the earth when it is impractical to walk barefoot on the ground. There has been a need for an independent verification, and the Sokal and Sokal report both confirms and extends the studies done in North America. Many chronic diseases are lifelong conditions, and impact the quality of life not only of those suffering from the diseases, but also of their family members, caregivers, and others. Stemming the growth in the enormous costs related to chronic disease has become a major policy priority, as the government, employers, and consumers increasingly struggle to keep up. One can count on the fingers of one hand the genuine discoveries in the history of medicine that have totally and unequivocally changed our understanding of health and disease and thereby improved the quality of life for literally millions of people. The discovery of bacteria and viruses as the causes of disease, the development of vaccination and antibiotics, the discovery that we can see inside the body with X-rays and other forms of energy, trauma medicine and organ transplantation come to mind. Discovery of the underlying causes of the chronic diseases would be another milestone, and may now be within reach. A hypothesis is a proposition that attempts to explain a set of facts in a unified way to form the basis for experiments that can establish its plausibility or refute it. Simplicity, elegance, and consistency with previously established hypotheses or laws are major factors in determining the value of a hypothesis. With respect to chronic diseases, a plausible, testable, and refutable hypothesis is that all chronic diseases have a single underlying cause: the stresses that produce and maintain chronic inflammation. Such stresses include environmental factors of various kinds including those that disturb physiology and those whose absence is disruptive. In this editorial, both sunlight and contact with the earth have been mentioned as essential environmental requirements for health. A corollary to the hypothesis is that the thousands of so-called diseases that have been named may actually be an elaborate classification system of the various symptoms that can arise from a single underlying condition: inflammation. Evidence from the Sokal study, along with related studies reported in this and other journals, show that Earthing may be a major piece of the inflammation/chronic disease puzzle. The Sokals studied the effects of Earthing on the reaction to vaccination. This is the first study of its kind, and provides a foundation or a model system for future investigation of the role of Earthing in inflammation and for testing the inflammation hypothesis. While much more research is obviously needed to substantiate or refute the inflammation hypothesis and the role of Earthing, the subject is obviously of profound importance and worthy of further investigation, given the toll chronic disease takes on our health and happiness. 2. Partnership to Fight Chronic Disease.www.fightchronicdisease.org/issues/about.cfm. [Jan 18;2011 ]. www.fightchronicdisease.org/issues/about.cfm Accessed 1-19-11. 7. Ober C. Sinatra SC. Zucker M. Earthing. The most important health discovery ever? Laguna Beach, CA: Basic Health Publications; 2010. 10. Fennick JH. Studies Show: A Popular Guide to Understanding Scientific Studies. Amherst, NY: Prometheus Books; 1997. 11. Applewhite R. The effectiveness of a conductive patch and a conductive bed pad in reducing induced human body voltage via the application of earth ground. Eur Biol Bioelectromagnetics. 2005;1:23–40. 12. Chevalier G. Mori K. Oschman JL. The effect of earthing (grounding) on human physiology. Eur Biol Bioelectromagn. 2007;1:600–621. 13. Chevalier G. Mori K. The effect of earthing on human physiology: Part 2. Electrodermal measurements. Subtle Energies Energy Med. 2008;18:11–34. 16. Minkoff DI. Best cases in biological medicine: Series #6. Explore! 2004;13:1–4. 25. Huldschinsky K. Cure of rachitis by means of artificial helotherapy [in German] Dr Med Wschr. 1919;45:712–713. 26. Mellanby E. Experimental rickets. Spec Rep Ser Med Res Conn. 1921;series 61:1–78. 29. Kuo FE. Sullivan WC. Aggression and violence in the inner city: Effects of environment via mental fatigue. Environ Behav. 2001;33:543–571. 30. Thoreau HD. Walden. Boston, MA: Beacon Press; 2004. Oschman JL, et al. J Inflamm Res. 2015. Earthing (grounding) the human body reduces blood viscosity-a major factor in cardiovascular disease. Chevalier G, et al. J Altern Complement Med. 2013. Earthing: health implications of reconnecting the human body to the Earth's surface electrons. Chevalier G, et al. J Environ Public Health. 2012. Grounding after moderate eccentric contractions reduces muscle damage.Brown R, et al. Open Access J Sports Med. 2015. Can electrons act as antioxidants? A review and commentary. Oschman JL, et al. J Altern Complement Med. 2007. Therapy of acute wounds with water-filtered infrared-A (wIRA).Hartel M, et al. GMS Krankenhhyg Interdiszip. 2007. Environmental medicine generally addresses environmental factors with a negative impact on human health. However, emerging scientific research has revealed a surprisingly positive and overlooked environmental factor on health: direct physical contact with the vast supply of electrons on the surface of the Earth. Modern lifestyle separates humans from such contact. The research suggests that this disconnect may be a major contributor to physiological dysfunction and unwellness. 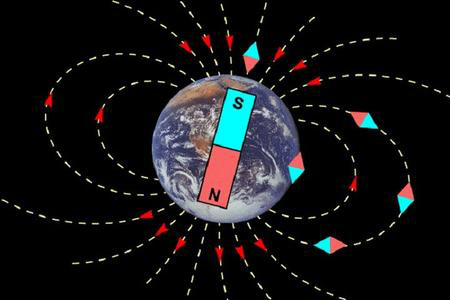 Reconnection with the Earth's electrons has been found to promote intriguing physiological changes and subjective reports of well-being. Earthing (or grounding) refers to the discovery of benefits-including better sleep and reduced pain-from walking barefoot outside or sitting, working, or sleeping indoors connected to conductive systems that transfer the Earth's electrons from the ground into the body. This paper reviews the earthing research and the potential of earthing as a simple and easily accessed global modality of significant clinical importance. The neuromodulative role of earthing.Sokal P, et al. Med Hypotheses. 2011. The biologic effects of grounding the human body during sleep as measured by cortisol levels and subjective reporting of sleep, pain, and stress.Ghaly M, et al. J Altern Complement Med. 2004. Chronoastrobiology: proposal, nine conferences, heliogeomagnetics, transyears, near-weeks, near-decades, phylogenetic and ontogenetic memories.Halberg F, et al. Biomed Pharmacother. 2004. Charge transfer in the living matrix. Oschman JL, et al. J Bodyw Mov Ther. 2009. Perspective: assume a spherical cow: the role of free or mobile electrons in bodywork, energetic and movement therapies. Oschman JL. J Bodyw Mov Ther. 2008. Biomedical research has led to the hypothesis that inflammation is the culprit behind almost every modern chronic illness. Hence there is interest in techniques that can resolve acute and chronic inflammation. A natural method involves connecting the human body to the earth (earthing). When done during sleep, earthing normalizes the daily cortisol rhythm, improves sleep and reduces pain and inflammation. Direct electrical connection with the earth enables diurnal (daily) electrical rhythms and electrons to flow from the earth to the body. Electrons are thought to act as natural anti-oxidants by neutralizing positively charged inflammatory free radicals. This concept requires a revision of an old idea in physiology: the human body and the cells within it are best described as volume conductors, in which charge is only conducted by dissolved electrolytes. The discussion relates to the term, "ungrounded," widely used by practitioners of bodywork, energetic and movement therapies. Qi Gong exercises and Feldenkrais method from the perspective of Gestalt concept and humanistic psychology. Posadzki P, et al. J Bodyw Mov Ther. 2010. Qigong: harmonising the breath, the body and the mind. Dorcas A, et al. Complement Ther Nurs Midwifery. 2003.